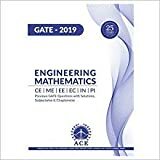 Below table has GATE Computer Science and Information Technology previous year question papers for last 29 years from 1991-2019 in free pdf format. 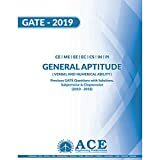 GATE Computer Science and Information Technology aspirants can download their GATE Computer Science and Information Technology previous year question papers from the table given below. You can download Computer Science and Information Technology GATE question paper for each year by clicking the PDF icon against the respective year. Thank you very much for such collection. There is an error on loading 2004 and 2005 year question paper. Sorry for inconvenience sir. Problem has been resolved now. Now you can download the papers. Thank you very-very much for your indication. Thanks Ankit for appreciating our work. Can we get papers without answers next to the question? I want to try the questions first. Excellent work but link to 2013 question paper is faulty. It lands on 2003 question paper. Problem can be resolved by updating URL manually. Request moderators to rectify the error. Sorry for inconvenience sir. Problem has been resolved now. Now you can download the paper.